It's Earth Day. It's Poetry Friday. And I'm the lucky guy who gets a guest poem from J. Patrick Lewis! Will it burst our blue balloon? Who will turn the evening tide? How can Noon have any fun? How will Thunder shake his fist? Will you say the Sun’s at fault? What was all this beauty for? Is it time for mistletoe? May I angel-wing the yard? Will Moon tuck me into bed? Will Night rock me back to sleep? © J. Patrick Lewis. All rights reserved. I may be off by one or two, but I think this is the eighth poem I've had the opportunity to share here from former Children's Poet Laureate J. Patrick Lewis. It brings me joy, I gotta say. 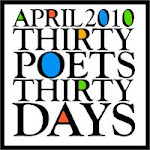 I've also written poems inspired by new forms he's played with (careerhymes and zenos come to mind) so he's truly all over this blog, and it's a wonderful thing. 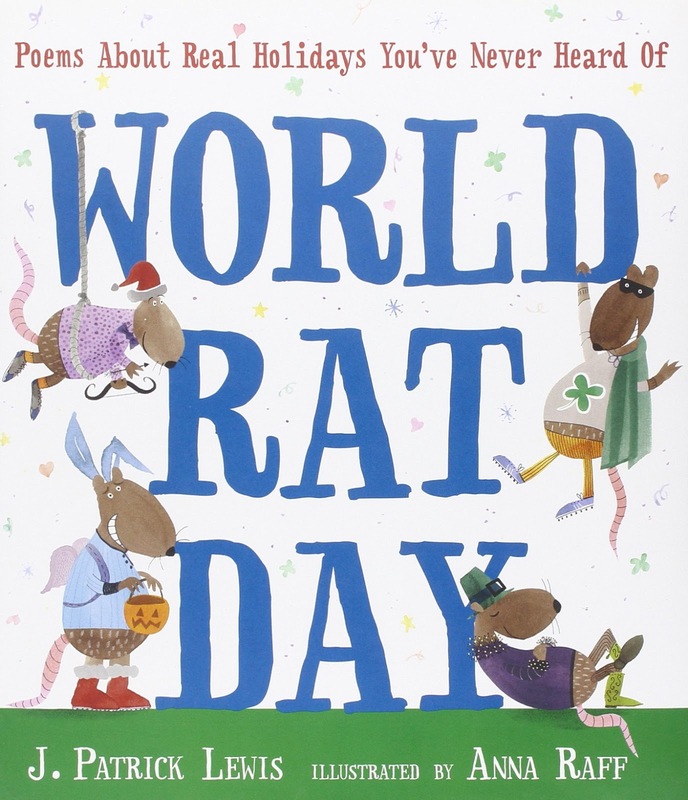 He's truly a remarkable wordsmith, and while I could never pick only one of his books to recommend... today I'll just give you the cover of World Rat Day, a collection of poems of his about holidays you didn't even know about. Hey, it ties into Earth Day a little, yes? Yes! 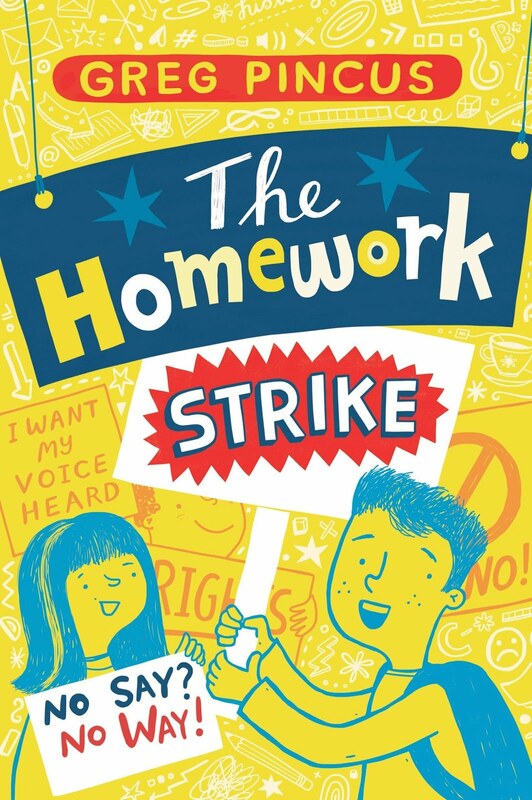 I've never tried to figure out my single favorite post in my 10 years here at Gottabook, but if I was making a short list, I'm sure my rhyming interview with Leslie Muir would be on it. 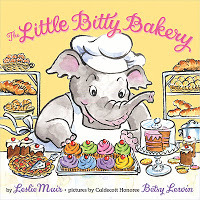 Leslie, who I've known since well before either of us was published, was celebrating the launch of her picture book, The Little Bitty Bakery (illustrated by Betsy Lewin). She was on a blog tour, and I basically said "Hey, stop by Gottabook, and I'll interview you. And oh yeah, my questions and your answers will be in rhyme! C'mon. It'll be fun!" Gamer that she is, she said yes... then hit it out of the park. Our artists, so we wait for news. When you heard "It's Betsy Lewin"? Can’t recall what I was thinkin’. But why would Walt give me a call? Especially since he’s dead and all? You can see the whole interview by clicking here. There have been other fun posts over the years, and many books and many friends celebrated here. Sometimes it feels hard to do something fresh or worthy of the books/people involved. But this? This was a blast for me from start to finish (and proved again that if you surround yourself with talented, smart, funny people... you'll look good in the process!). My brain's full of sundaes and thick, creamy shakes. My thoughts drift to cookies and pastries and cakes. I'm thinking of donuts. My head swims with pies. I see piles of candy when I close my eyes. 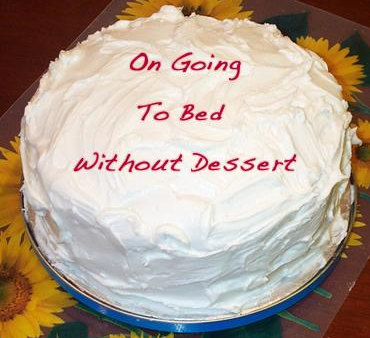 And pudding! There's pudding in bowls ten feet deep. I guess Mom was right - sugar's why I can't sleep. If you want to get all my poems (and only the poems) emailed to you for freeee as they hit the blog, enter your email address in the box below then click subscribe! 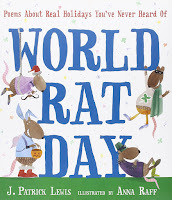 It's Poetry Friday yet again here in the blogosphere, so head on over to Laura Purdie Salas's Writing the World for Kids and check out this week's roundup of poetry goodies. I hate to be tricked. I hate to be schooled. I hate to be pranked. I hate to be fooled. (If the date on the calendar's not April 1st). Yes, it's the one day of the year when maybe, just maybe, you can get away with fooling people without getting an emotional reaction. 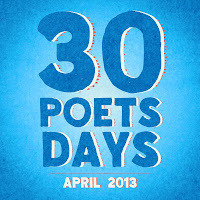 Just don't push your luck beyond 40 or 50 bits of foolishness, I figure.... And by the way, happy start of National Poetry Month as well as April Fools' Day! 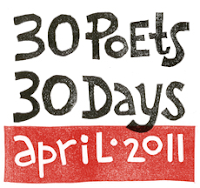 For some utterly non-foolish fun, check out this week's Poetry Friday roundup over at Amy's Poem Farm. Great stuff there (including the kickoff of Amy's own Poetry Month project).